Blog home / Everything CBTN / Networking Basics: What are the Key OSPF Areas and Different LSA Types? 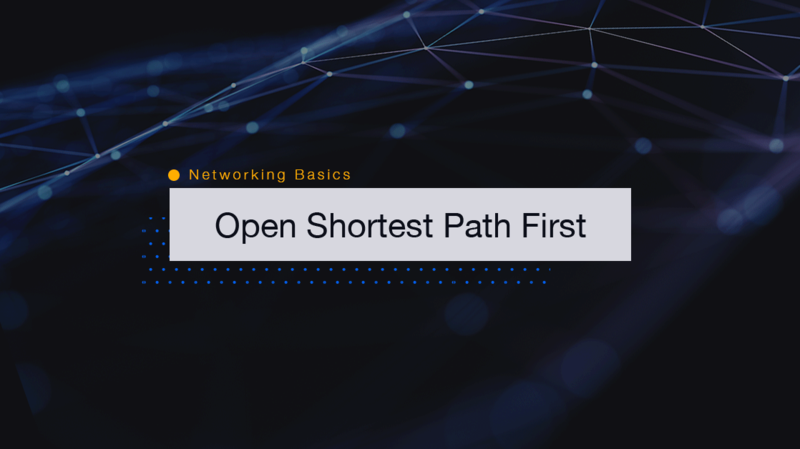 The Quick Definition: Open shortest path first (OSPF) areas help break up your networks and the routers within it to find the shortest and most efficient route from one location to another. Different link state advertisement (LSA) types provide data about the architecture of your network and routers. OSPF and LSA types work together to ensure that network traffic is always routed to its intended destination. Large routing tables and network segments efficiently store routing tables including ones that change often. The technology keeps bandwidth usage low when several routers are on a network. Arguably, the mix of OSPF Areas and LSA Types is one of the most confusing aspects of really learning about OSPF, so we’re here to help. If you’ve learned basic networking and router concepts, you’ve probably heard of RIP (Routing Information Protocol). RIP sends routing tables to neighboring routers every few seconds. Keeping track of routing tables this way eats up a ton of bandwidth and causes congestion that isn’t necessary. Instead, OSPF divides networks into sub-domains called areas. An area is a logical collection of OSPF networks, routers, and links that have the same area identification. A router within an area only has to maintain a topological database for its assigned area, which reduces its database size. Rather than knowing an entire network’s topology, it only needs to know its own, which makes the routers within the area run much more efficiently. So, the main benefit of creating areas is a reduction in the number of routes to propagate — by filtering and summarizing routes. What is the Backbone Area? “Area Zero” — or the “Backbone Area” is the first area to create in an OSPF configuration. Some businesses never grow beyond this one area. As businesses grow they typically add more routers, which means router tables grow a bit unruly with too many routes and changes. This all leads to a waste of processor cycles. Therefore, you can break your network into multiple areas, and adding to Area Zero, to keep things efficient. Standard Areas are put in place to make configurations run more efficiently. You might want to split your routers and do summarization between the areas you’re building. This enables the routers to communicate with each other and the outside your network. Stub Areas are stubby because they are limited in the information they can receive. Let’s say you have RIP routes, EIGRP routes, or maybe even BGP routes stored in a cloud. You decide to redistribute or send those routes into your system. This makes them external routes. Stub areas are able to block external routes and replace them with a default route. As a result, all the routers in that Stub Area automatically get a default route. What are Totally Stubby Areas? Cisco took Stub Areas to the next level and said, “We’re gonna create a totally Stubby Area,” A Totally Stubby Area filters the external routes and the routes from other systems, and replaces them with a default route. This makes the routing table inside of that area more efficient. We’ve got Stubby and Totally Stubby Areas, so it only makes sense to have Not-So-Stubby Areas, right? What about areas that aren’t so stubby? A Not-so-Stubby Area — or some people call it an NSSA — usually comes about unexpectedly. Let’s say Area One represents China, and there they have a partner relationship with another company that is running RIP. In order to send these routes into your system, you need to break the rules of the stub. But the stub needs to be live, so your routing tables stay efficient. So you’re going to have to bend the rules. That’s what we’re calling a Not-so-Stubby Area. A NSSA camouflages those routes. Once they’re through the stubby area, they appear as external routes. What is LSA (Link State Advertisement)? Understanding all area types makes understanding the Link State Advertisements so much easier. An LSA is a router’s way of communicating information in OSPF. There are different types of LSAs. Type 1 is the basic LSA generated when you want to connect a new router to the network. This new router uses a Type 1 LSA to let the network know it’s now a part of the architecture. Let’s say you have a router that’s plugged into a couple networks and wants to communicate that fact. It’s going to generate a Type 1 LSA because it’s a normal router. The router will then tell the networks to add it to their Link State databases. A Type 2 LSA is for the designated router. When you take a bunch of routers and plug them all into one switch, you don’t want them all forming neighbor relationships. It turns into a big mess of updates any time something happens. So, one router becomes the designated router and the Type 2 LSA lets all the networks know who the designated router is. Type 3 LSAs are used whenever a router is placed between OSPF areas. It summarizes routes as router information moves across areas. For example, you have Router One is plugged into the 10.1 network, 10.1.1.0/24. As it moves from Area Two into Area Zero, it converts from a Type 1 LSA to a Type 3 LSA. Type 4 LSA is the location of an Autonomous System Boundary Router (ASBR). These routers are able to leave your system so that internal routers are able to identify the best route for data transfer. Area Border Routers (ABRs), in contrast, are able to summarize between the areas. The fifth type of LSA is the external LSA. This is for routes that are coming from outside a system. Type Five LSAs are the opposite of Type Four LSAs. Type Four is the location of the ASBR, and Type Five gives us the routes from the ASBR. Now, let’s think about these two concepts working together. Stub Areas don’t allow Type 5 LSAs. Stubby Areas completely block Type 3, Type 4, and Type 5 LSAs. By doing this, they shrink their routing tables. Not-So-Stubby Areas use an LSA type that’s not even on this list. They use a Type 7 LSA. You can think of a Type 7 LSA as one of those masks that people use in a play. They put masks in front of all these Type 5 LSAs coming in to disguise them so that the Stub Area won’t block them. But once they make it through that system, the masks are removed. Take the next step in learning about OSPF areas and LSA types by checking out Jeremy Cioara’s Cisco CCNA Routing and Switching 200-105 ICND2 course. Or try Anthony Sequeira’s Juniper JNCIS-ENT (JN0-343) – OSPF course. No matter the vendor, CBT Nuggets can help you learn more about this networking basic.